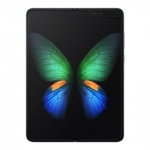 ★★★★★ Average rating of 3.1 stars by 84 users. 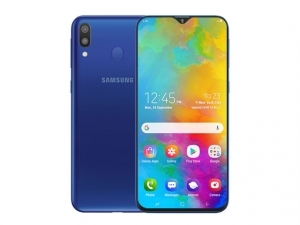 The Samsung Galaxy M20 is a smartphone that features a 6.3-inch FHD+ display with an Infnity-V notch. It also has a dual rear camera system composed of a 13 Megapixel primary camera and 5 Megapixel ultra-wide camera. 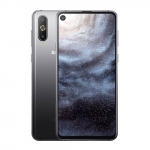 There's also an 8 Megapixel selfie camera on the front that resides on the display notch. 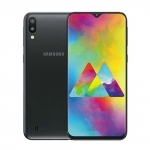 It runs on a 1.8GHz octa-core processor with 3GB of RAM and Android 8.1 Oreo operating system. 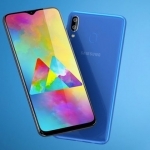 A fingerprint sensor, optical facial unlocking, and 4G LTE connectivity are all present too. Lastly, a massive 5000mAh battery powers the device and supports 15W charging technology via a USB Type-C port. 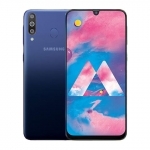 The official price of the Samsung Galaxy M20 in the Philippines is ₱10,990.00. 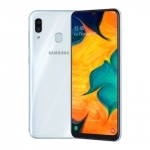 Buy Online Samsung Galaxy M20 on Lazada!